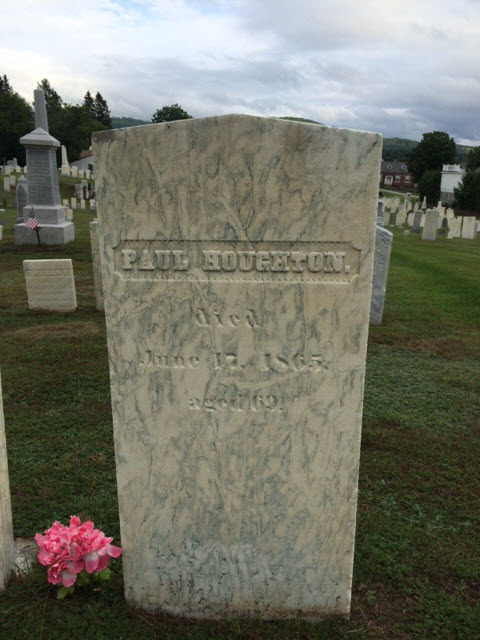 Paul Houghton married Eunice Potter in Sep 30, 1822 at Newark, VT, USA. Betsy Houghton married Otis Lawrence in Mar 15, 1825 at Lyndon, Caledonia Co., VT, USA. Burial Lyndon Town Cemetery, Lyndon, Caledonia Co., VT, USA, GS: "Capt. 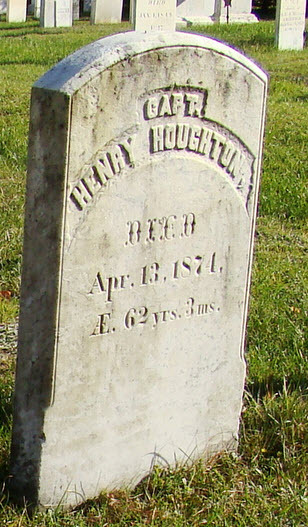 Henry Houghton"
Henry Houghton married Caroline M. Cook in Dec 31, 1834 at Danville, Caledonia Co., VT, USA. Henry Houghton married Mary Ann Ames. Miriam Houghton married Manning Morrill in Jan 21, 1836 at Lyndon, Caledonia Co., VT, USA. Lemuel Jenkins Jr married Anna Houghton, daughter of Alpheus Houghton and Isabelle Wood, in Jul 3, 1823 at Lyndon, Caledonia Co., VT, USA. Eunice Potter married Paul Houghton, son of Alpheus Houghton and Isabelle Wood, in Sep 30, 1822 at Newark, VT, USA. Otis Lawrence married Betsy Houghton, daughter of Alpheus Houghton and Isabelle Wood, in Mar 15, 1825 at Lyndon, Caledonia Co., VT, USA. 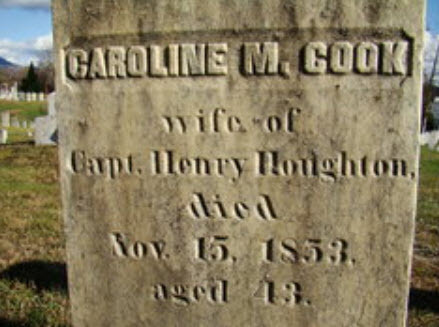 Caroline M. Cook married Henry Houghton, son of Alpheus Houghton and Isabelle Wood, in Dec 31, 1834 at Danville, Caledonia Co., VT, USA. Manning Morrill married Miriam Houghton, daughter of Alpheus Houghton and Isabelle Wood, in Jan 21, 1836 at Lyndon, Caledonia Co., VT, USA. James Morrill married Louise Hutchins. Ezra Houghton married Sally R. Raymond at Winchendon, MA, USA.